Electricity, the science which treats of the peculiar phenomena of attraction and repulsion exhibited when friction and other mechanical forces are applied to bodies, and of certain effects which accompany chemical decomposition or other change of physical state; or the phenomena that arise from the relation which bodies may bear to terrestrial and other magnetic lines, particularly when these are undergoing change in quantity or direction. The general science includes statical and dynamical electricity, or electric force in a state of rest or of motion. The former, being usually developed by friction, at least for experimental purposes, is often called frictional electricity. The latter may be developed by chemical action, by heat, magnetism, and other forces ; but in whatever way produced, it is always in the form of currents, and exhibits a constant manifestation of power. Statical electricity may also be obtained by greatly increasing the intensity of dynamical electricity, as will be shown in the articles Galvanism and Magneto-Electricity. This article will treat of frictional electricity, while dynamical electricity, so far as it relates to the development of currents by chemical action, will be treated in the article Galvanism. That part of dynamical electricity which relates to the development of magnetism by electrical currents, and of the development of electrical currents by magnetism, will be treated under the heads Electro-Magnetism and Magneto-Electricity. The development of electricity by heat will be treated in the article Thermo-Electricity. - The word electricity is derived from the Greek amber, a substance described by Thales of Miletus six centuries before Christ as possessing the property, when rubbed with a piece of silk, of attracting light bodies; this he ascribed to the presence of a soul, which when excited left the body and brought the light bodies to it. Theophrastus and Pliny mention the power of amber to attract straws and dry leaves, and also the possession of the same property by the lapis lincurius, supposed to be the mineral tourmaline. The electricity of the torpedo was known to the ancients, as we learn from Pliny and Aristotle; or rather, it was known that the fish had the power of producing certain physiological effects, but their explanation, or the relation which they bore to the property of amber, was unknown. As regards the science of electricity, a record of the simple phenomena of attraction and repulsion is all that has been handed down to us by them, and but little knowledge of the subject was acquired until toward the end of the 16th century, when Dr. Gilbert of Colchester, England, made a series of experiments on account of which he has been called the founder of the science. This title, however, can scarcely be justly applied to any one individual, especially at that early day, when a few isolated facts, as yet unconnected with any mathematical law, were all that was known. Robert Boyle, while investigating other physical subjects, added several substances to the list of "electrics." Otto von Guericke, about the same time or a little earlier, made discoveries of still greater scientific value; for instance, that of electrical induction. Sir Isaac Newton also made some important investigations in electricity, and Sir David Brewster ascribes to him the invention of the glass globe electrical machine. Stephen Gray, a member of the royal society, between the years 1720 and 1736 made several discoveries in regard to the conduction of electricity. M. Du Fay of the French academy was perhaps the first to approach the subject in a theoretical way. He found that all bodies were susceptible of electrical excitement by friction if they were insulated, and was the first to propose the theory of two fluids, which he termed vitreous and resinous. The results of the labors of other investigators will be mentioned in the descriptions of apparatus or experiments. The discoveries of Franklin and some further notice of statical electricity will be found in the article Lightning. - The ordinary phenomena of fric-tional electricity may be observed by taking a dry glass rod, rubbing it on a piece of dry silk, and presenting it to small scraps of paper or pieces of pith, when they will fly against the rod, and after remaining a short time, the length of which depends on the intimacy of contact and the nature of the light bodies, they will fly off with a sudden motion, as if repelled. Similar effects may be produced by using a stick of sealing wax, a material mainly composed of gum shellac, in place of the glass rod. It was supposed for a long time that only certain bodies were capable of becoming electrically excited, and they were called electrics, while those which did not distinctly manifest excitement under similar circumstances were called non-electrics. When the conduction of electricity was made the subject of investigation by Stephen Gray, it was found that all the so-called electrics were non-conductors, and that those which were termed non-electrics were conductors. This discovery led to the insulating of conductors and subjecting them to friction, when it was found that they also were readily excited. If an electrically excited insulated conductor is placed in contact with another conductor which is also insulated, a portion of its electricity disappears, and the two become equally excited. If the first body is large in proportion, it loses but little of its electricity; but if it be smaller than the other body, it parts with a proportional quantity; and if the difference is vast all sensible excitement disappears, as when communication is made with the earth, which is often called the common reservoir. Nonconductors may be used as insulators. Dry air is an excellent insulator; if it were not so, it would be impossible under ordinary circumstances to collect electricity upon any body, because it would be conveyed away as fast as generated. Damp air is a partial conductor, and therefore experiments in frictional electricity cannot be well performed during moist weather. It was for a long time observed that different bodies when electrically excited seemed to possess opposite states of electricity. Fig. 1. - Attraction and Repulsion. Thus, if a gilt pith ball be suspended by a silk thread, as in fig. 1, and approached by a glass rod which has been excited by friction with a piece of silk, it will be attracted to it; but as soon as contact is made it will be repelled, and the repulsion will continue as long as the ball retains its charge. If, however, a stick of excited sealing wax be brought toward it before its charge is lost, it will be attracted, and more powerfully than it was at first, by the glass rod. To explain this phenomenon different theories have been proposed, which are discussed in the article Electro-Magnetism. In this article, for convenience of explanation, the existence of two fluids will be assumed, termed positive and negative, which in the natural state of bodies are supposed to be combined, but which are separated or decomposed by mechanical or some other force, and are moreover mutually attractive, but self-repulsive. There is no proof of a special electric fluid, either compound or simple; but it may be that the luminiferous ether which most physicists now suppose to be the common medium for the transmission of light and heat will play an important part in a future theory of electricity. The fact that what is called the electric fluid cannot be discharged through a nearly perfect vacuum presents apparently a strong objection to the idea that the ether may be an electric medium; but this consideration does not affect the possibility that it may exert a controlling influence, and it is not improbable that the recent investigations into the molecular nature of bodies in relation to heat and light will lead to others by which the problem may at last be solved. With regard to the kinds of electricity which may be developed upon a body, it is found that it not only depends upon the body itself, but upon the body with which it is rubbed; thus, although glass in almost every instance collects positive electricity by friction, if the fur of the cat be used for this purpose it will be found to be negatively electrified. The surface also has much to do with the nature of the fluid which a given body may acquire; thus, if a piece of polished and a piece of rough glass be rubbed together, the former will be positively and the latter negatively electrified. If two silk ribbons are rubbed across each other, the one transversely rubbed will be negatively and the other positively electrified; and again, if two bodies of the same substance and having the same kind of surface, but differing in temperature, are rubbed together, negative electricity will be developed upon the warmer body. The kind of excitement a body may manifest also depends upon the color. When a piece of white is rubbed with a piece of black silk, the former acquires positive, and the latter negative electricity. The general deductions of Coulomb from numerous experiments are, that when two bodies are rubbed together, the one whose particles are least disturbed is more disposed to collect positive electricity. Other forms of mechanical action besides friction will develop statical electricity. Several minerals when pressed between the fingers exhibit free electricity. Calc spar, topaz, and fluor spar are examples, the first retaining its excitation for several days. According to the observations of Bec-querel, the excitation is not perceptible while the pressure continues, but during the act of separation. Two similar bodies do not develop electricity when pressed together unless one is colder than the other, the colder body always becoming negative. Cleavage or the tearing asunder of laminae will produce electrical disturbance in minerals, card board, or other laminated bodies. Vibration develops electricity. 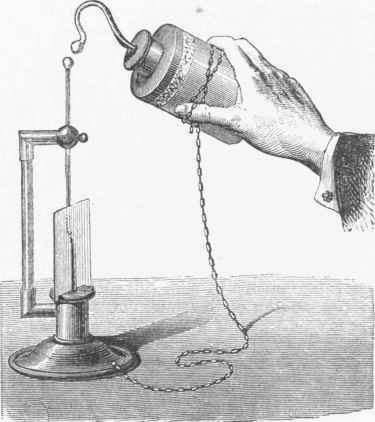 A wire composed of iron and brass, connected with a galvanometer, on being made to vibrate so as to produce a musical sound, will cause a deflection of the needle. Statical electricity is also developed by heat; a familiar example is the attraction and repulsion of ashes when tourmaline is placed in hot embers. - Electrical Induction. If a globe, C, fig. 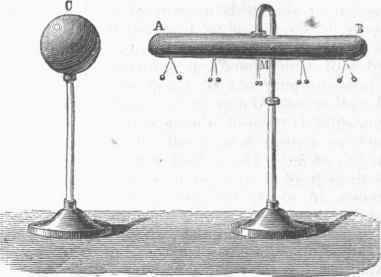 2, supported upon an insulating pillar, and charged with positive electricity, be placed near one end of a cylinder, A B, also insulated, but not previously electrified, from which small gilt pith balls are suspended, the latter will be seen to separate, the separation being greatest at the two ends, while at a place midway no excitement will be manifested. It will be found that that portion of the cylinder nearest the globe will have negative and the further end positive electricity, the amount in either case diminishing from the ends to the place between where there is no excitement. The greatest divergence of the pith balls will be upon the end nearest the globe, and the point of no excitement will be nearer this than the other end. If the globe is removed to a considerable distance from the cylinder, the latter will assume its natural state, the excitation having been caused simply by a separation by induction of the combined fluid upon the cylinder, and without any abstraction of either positive or negative fluid. If, however, while the globe is near the cylinder, the latter be placed in communication with the earth, the positive electricity which is repelled to the further end will escape, and a corresponding quantity of negative electricity will flow in the contrary direction to the cylinder, and, being attracted by the positive fluid of the globe, will increase the charge upon the end nearest it. Then, if communication with the earth be interrupted and the globe removed, the cylinder will be charged with negative electricity, which will manifest itself in the separation of the pith balls, the divergence being now equal along the whole length of the cylinder. If the experiment is made with two cylinders, placed end to end, they will both become excited by induction, the induced electricity of one causing induction in the other. In this manner a number of cylinders may be electrified, but the excitation will become feebler in proportion to the departure from the globe. The ordinary explanation includes the idea that the action takes place at a distance, the non-conducting medium between the excited globe and the cylinder being disregarded; but according to the researches of Faraday, the molecules of this intervening medium, which is called a dielectric because the electric action is propagated through it, become alternately positively and negatively electrified. This condition he called polarization of the medium, and to exhibit it experimentally he placed small fragments of silk in a vessel of turpentine, in the opposite sides of which two conductors were placed. Upon charging one of these, and connecting the other with the ground, the particles of silk immediately placed themselves end to end, forming a continuous chain from one conductor to the other. 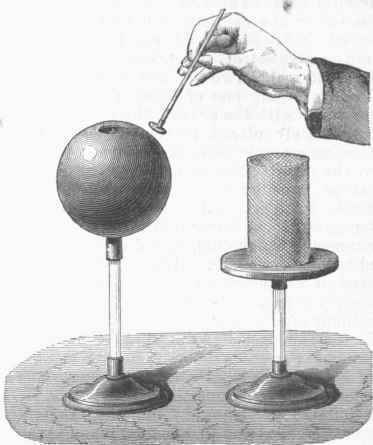 The influence of the dielectric is also shown by placing a plate of shellac between the electrified globe and the cylinder, fig. 2, when the latter will manifest more excitement than before, the divergence of the pith balls increasing. By using different substances as dielectrics, it will be found that each exerts a specific influence, the relative amount of which Faraday has termed specific inductive capacity. An experiment of Matteucci supports Faraday's theory. Several thin plates of mica were placed closely together, the terminal ones having metallic coatings. While in a state of excitation by induction the plates were removed one by one, and found charged, on one side with positive and on the other with negative electricity. If a pith ball be suspended by a linen or cotton thread, it will be more strongly attracted by an excited body than if suspended by a silk thread, because the linen or cotton thread will allow the electricity which is of the same kind as that of the excited body to pass away from the ball, while it becomes fully charged with the opposite kind. The silk thread, however, prevents this, and only allows the fluid which is of the same kind as that of the excited body to pass to the further side of the ball. - Electroscopes. These are instruments used for the purpose of detecting the presence of free electricity, and also its nature. The pith balls represented in fig. 2 are electroscopes, but they possess little delicacy. A much more efficient apparatus is formed by two strips of gold leaf placed together and suspended by a conductor, as in Bennet's gold-leaf electroscope, fig. 3. It is protected by a glass cover, within which, at either side, project from the bottom two conductors for the purpose of preventing the rupture of the leaves if they should diverge rapidly from a strong charge. A body having only a small amount of electricity, upon being held near the knob of the conductor, causes induction and separation of the leaves. In order to ascertain the kind of electricity any excited body may have, it is first brought near the knob; this is then touched with the finger to bring it in communication with the earth, and thus permit the escape of the electricity which is of the same kind as that of the body to be tested. Then, while the excited body is near, the finger is removed from the knob, the gold leaves and the conductor being thereby again insulated. The instrument is now charged with electricity of an opposite kind to that of the body, the presence of which is manifested by a divergence of the leaves. The body to be tested is now removed, and a glass rod that has been rubbed by a piece of silk is brought near the conductor. If the divergence of the leaves increases, it will indicate the presence of positive electricity, because the positive electricity of the glass repels that of the same kind from the knob to the leaves. If, on the contrary, the approach of the excited glass rods causes a diminution of divergence, it will show the presence of negative electricity, because it will be attracted from the leaves to the knob. - Electrometers. For the purpose of ascertaining the intensity with which a body is charged, and also the laws of electrical attraction, an instrument was invented by Coulomb, called Coulomb's torsion balance electrometer, represented in fig. 4. Its essential parts consist of a very fine metallic wire, weighing about one tenth of a grain to the foot, which is held in a cap at the top of the apparatus, and supports a delicate needle of shellac in a horizontal position at its lower end. This shellac needle has a small gilt ball, g, at one extremity, which being insulated may be made to receive, and for a short time to retain, a quantity of electricity. Another rod of shellac, f', is so adjusted in the cover of the large glass cylinder that the small gilt ball g' which it carries, and which is of the same size as the ball g, may be passed down and held at a level with the latter. If now the horizontal needle f is so placed that the ball g may be touched by the ball g\ and the latter is charged with electricity and introduced, it will deliver to the former half of its charge, and the two will be mutually repelled, the repulsion being measured by the amount of torsion of the suspending wire, which may be ascertained by means of a circular scale marked upon the circumference of the cylinder, and another suitably adjusted at the upper end of the small cylinder from which the wire is suspended. 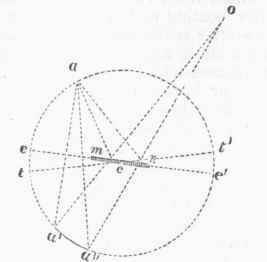 The cap at the top may be turned to increase the force of torsion, which is in proportion to the angle, and bring the balls nearer together; and it will be found that when the distance has been reduced to one half, the angle of torsion will be four times as great. It must be remembered, however, in making the calculation, that the actual distance between the balls is measured by the chord of the arc, and not by the arc itself. 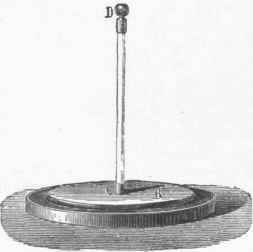 With this instrument Coulomb demonstrated the two following laws: 1. The force of attraction and repulsion between two electrified bodies is in the inverse ratio of the squares of their distance. 2. The distance remaining the same, the force of the attraction and repulsion between two electrified bodies is directly as the product of the quantities of electricity with which they are charged. It is a natural conclusion that when a body is electrically excited, that is, when it contains free statical electricity, it resides upon the surface, being held there by the resistance of the insulating air and the self-repulsion of the fluid; and such a conclusion is borne out by experiment; but in the case of currents the capacity of a body depends upon the area of its cross section, a hollow wire not being so good a conductor as a solid one. If a hollow, insulated globe, fig. 5, having an aperture, is charged with electricity, and a small disk of gilt paper, called a proof plane, is carried by means of an insulating handle into the globe and applied to its interior surface, it will be found upon withdrawal to contain no free electricity. Faraday used a wire-gauze cylinder in place of the globe. It rested upon an insulated metal plate, which being charged of course supplied electricity to the cylinder, but it all resided upon the exterior, no trace being found on applying the proof plane to the interior. Coulomb's torsion electrometer may also be used to demonstrate the same condition; for if a solid and a hollow sphere of the same diameter be brought together, one having free electricity, the charge will be equally divided between them. In consequence of the self-repelling force of the electric fluid which thus causes it to reside upon the exterior of bodies, it will be distributed in equal quantities over the surface of a sphere; but upon an ellipsoid or an elongated cylinder it will be greatest at the ends, and if these be quite acute the tension will become so great as to cause it to be discharged in a current. A disk also contains nearly all the charge at the circumference, as may be shown by the use of the proof plane and Coulomb's torsion electrometer, substituting the proof plane in place of the gilt ball in the carrying rod. An exception to the rule that statical electricity is confined to the exterior of a body is when an insulated electrically excited body is placed in the interior of a hollow conductor. In this case the excited body will induce upon the interior surface of the conductor a charge of opposite electricity; and if the conductor be insulated, an equal quantity of the same kind will be repelled to the outside. Again, if a conducting body be suspended by a wire connected with the earth inside of a hollow, charged, insulated conductor, it will become charged by induction with electricity opposite to that of the hollow conductor, a part of the charge of the latter -being at the same time brought to its inner surface also by induction. If, now, the inner body be insulated and lifted out by a silk thread attached to the wire, it will retain its charge of opposite electricity to that of the hollow conductor, but the electricity which existed upon the internal surface of the latter while the conducting body was inside will now return to its external surface. In fact, the two bodies are related to each other in a manner similar to the conductor and cylinder in fig. 2, so that the exception to the rule is more apparent than real. An electrified insulated body after a time loses its electricity; this is called dissipation of charge, and takes place partly along the supports and partly through the air. Coulomb found that, other circumstances remaining the same, the rate of loss is simply proportional to the charge, so that at equal intervals of time the charges form a decreasing geometrical series, following a law similar to Newton's law of cooling. - Electrical Machines. The first electrical machine was invented by Otto von Guericke, who was also the inventor of the air pump. A ball of sulphur turned on an axis was electrified by friction with the hand, receiving negative electricity, while the positive flowed to the earth through the person. Sulphur was afterward replaced by resin, and for this the English philosopher Hawksbee substituted a cylinder of glass. The hand was used as a rubber in all these, the cushion rubber made of horsehair, covered with silk, being introduced by Winckler in 1740. About the same time it is said that Boze, another German philosopher, used an insulated cylinder of tin. In 1760 Ramsden replaced the glass cylinder by a circular glass plate. Fig. 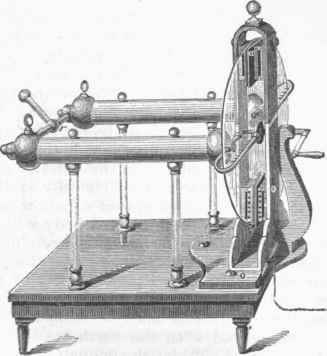 6 is a modification of Ramsden's machine in use at the present time. Between the two supports in which the glass wheel turns, and near its upper and lower edges, are two pairs of cushions, usually made of leather stuffed with horsehair and coated with bisulphide of tin or some amalgam, mixed with grease, as Kienmier's amalgam, which is composed of one part of zinc, one of tin, and two of mercury. These cushions are the rubbers for producing friction, and are connected with the earth by means of a metal chain or rod. Two large hollow cylinders of brass, C C, with globular ends, each supported by two glass pillars, constitute the reservoir for receiving the electricity, which in this case is positive. They are called the prime conductors, and are supplied with U-shaped rods of metal, furnished with points along their sides called combs, for the purpose of receiving the electricity from the glass plate, the arms of the U being held upon either side. The other ends of the conductors are connected by a rod, r, from the middle of which projects another short rod terminating in a knob for delivering the spark. The action of the machine is as follows : When the plate is turned friction decomposes the fluid, positive electricity going to the glass and negative to the rubbers. The positive electricity of the plate attracted by the combs, passes to the prime conductor, while the negative upon the latter passes in a contrary direction to the plate, which in turn delivers it to the rubbers. The rubbers in consequence of their connection with the earth, receive positive electricity, which is powerfully attracted by the negative they contain, the union being again destroyed by friction and the positive fluid delivered to the prime conductor, where it collects until the tension becomes greater than the confining force of the air. It is then spontaneously discharged in sparks and jets, with a crackling and hissing noise, unless taken off by a conducting body. Upon the two-fluid theory it is supposed that as much of negative fluid passes in one direction as of positive in the opposite; so that a body always contains the same amount of electricity, either of one or of both kinds. Some machines, like that of Prof. Nairne, which employs a glass cylinder, are constructed with two conductors, one connected with the rubbers and the other with the points which receive the fluid from the cylinder. By connecting the positive conductor with the earth, and insulating the rubbers, negative electricity may be obtained. A convenient method is to mount the prime conductor upon an independent stand, and connect it at pleasure either with the points or with the rubbers. 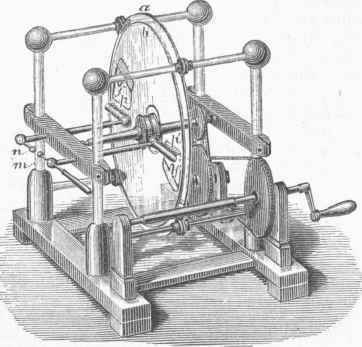 A great variety of forms of machines may be constructed, and the prime conductors may be made to receive their charge either by conduction from the plate or rubbers, or by induction. Of the latter kind, one invented by Holtz of Berlin, in 1865, remarkable for its great power, is represented in fig. 7. A circular glass plate, a, is fixed in an insulating frame. In opposite sides, near the circumference, are two large orifices, which are partly covered at the back by two bands or armatures of thick paper, f f', having points projecting in the opposite direction to that of the motion of a second glass plate, b, somewhat smaller than a, and made to revolve very near it. Opposite the face of the movable plate, which has no orifices, there are metal combs, p p' connected with insulated conductors which terminate in adjustable knobs, m and n. An orifice in the centre of the fixed plate gives passage to the axis of the movable one, which can be rapidly rotated by a system of band wheels. The machine is started by bringing the knobs m and n of the conductors together and electrifying one of the armatures, say f, by holding against it a plate of ebonite which has been negatively excited. After a few turns of the plate both armatures become highly charged with opposite kinds of electricity, f becoming positive, and if the knobs are separated a stream of sparks will pass from one to the other. By increasing, within a certain limit, the distance between the knobs, the sparks become larger and less frequent; but beyond this limit, which depends upon the insulation and working order of the machine, the sparks will no longer pass, and unless the knobs are quickly brought together the machine will cease to act. The following is a brief explanation of its action. The negative electricity of the first armature tends to repel the same fluid in its vicinity, and to attract the opposite; consequently negative electricity flows from the face of the movable plate to the points of the comb, while positive electricity is discharged by the comb upon the plate. This will cause the comb of the second conductor, which at the commencement, as has been said, is in connection with the first, to become negative, while each portion of the glass plate will pass from the first to the second comb positively electrified. When successive portions of the plate thus charged arrive opposite the second armature, the latter, through its point, discharges negative electricity upon the plate and receives positive in return, thus becoming positively charged. Positive electricity from the face of the plate also passes to the second comb, and the latter discharges negative electricity upon the plate, which then passes on to the first armature and comb negatively electrified. Therefore the comb will discharge positive electricity on and receive negative from the plate, and the armature will also receive a higher negative charge from the other side of the plate, because the latter is charged with higher tension. The effect is to cause the plate to leave the first comb more highly positive than it was the first time, and on again coming opposite the second armature to increase its positive charge. Both armatures become thus in a short time highly charged with opposite electricities, whose tension is only limited by the degree of insulation. A strong current of positive electricity, it will therefore be seen, is constantly passing through the conductors from the second to the first comb, and a corresponding current of negative electricity from the first to the second comb; and when the knobs of the conductors are separated the electricity will leap from one to the other. It is moreover evident that the action of the machine requires that each part of the movable plate be charged with electricity of an opposite kind to that of the armature it leaves, and of the same kind to that of the one it approaches. This condition, however, cannot continue if the conductors are so far separated as to prevent communication, or are beyond striking distance, because there would then simply be two armatures in opposite electrical conditions, with a moving plate passing from one to the other and gradually equalizing the charge. 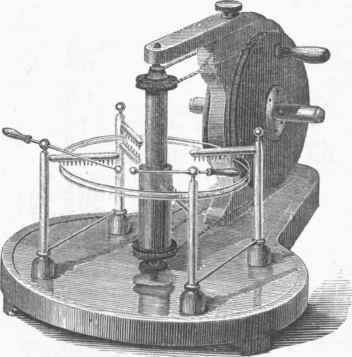 The inventor has recently modified this machine by placing the plates horizontally and turning them in opposite directions, as represented in fig. 8. Neither plate has openings, but two combs are placed above the upper plate opposite each other, and two others below the lower plate, at right angles to the upper ones. Each of the upper conductors is connected with one of the lower, so that there are only two conductors. The machine is started by holding for a short time an excited plate of ebonite opposite one of the combs. Sometimes, as in the figure, a third upper comb is placed above one of the lower combs, which appears to increase the power. In both forms of the machine work is expended in turning the plates in opposition to electrical attractions and repulsions, by which mechanical is converted into electrical energy. It will always be found difficult to obtain good results with electrical machines in damp weather. By warming the glass insulators, however, and frequently rubbing them with a warm dry cloth, their non-conducting property may be in a degree preserved. The Holtz machine is more sensitive to moisture than the ordinary kinds. 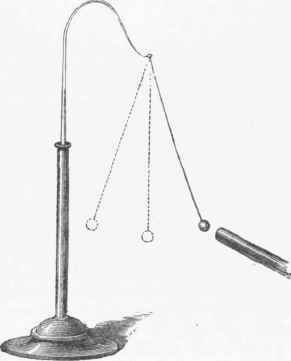 - Other apparatus besides the ordinary machine are employed to develop statical electricity, the electrophorus of Volta being used with advantage in some experiments. It usually consists of a cake of resin about 1 in. thick, represented in fig. 9, resting upon a metallic base called the sole, and having resting upon it a metal disk with a rounded edge, and of less diameter than the resinous cake, furnished with an insulating handle. A good material for the resinous cake is composed of ten parts of shellac and one of Venice turpentine. Resin is better than glass or ebonite, because it does not so readily condense moisture on its surface, and this little instrument requires to be in excellent condition to yield satisfactory results. In making experiments with the electrophorus the resinous cake is whipped with a catskin or rubbed with fur, which excites it negatively, and the metal disk is then laid upon it; this therefore has its natural fluid decomposed, the positive being drawn to the under and the negative repelled to the upper surface. The disk is now touched with the finger, by which it becomes positively charged from the earth, and if removed by the insulating handle will yield a spark; an operation which may be repeated several times before the resinous cake loses its charge. - The hydro-electric machine of Sir William Armstrong, which is said to have been discovered by accident, consists of a wrought-iron plate boiler, fig. 10, standing upon four glass legs. It is about 5 ft. long by 2 ft. in diameter, provided with a gauge, O, to show the height of water. A stopcock, C, when opened allows the steam to pass through a number of tubes in the box B, containing cold water for cooling the steam. The ends of the tubes are furnished with jets whose construction is such as to increase the friction, and the jets are lined with hard wood, as shown in the figure at M. A metal plate, P, armed with points, collects the electricity, which is ordinarily positive, and conveys it to the prime conductor, D. There should be a pressure of several atmospheres in the boiler, and the water should be pure, the presence of a saline solution in the escape tube being sufficient to prevent development of electricity. By changing the material of which the jets are made the kind of electricity may be varied. If a small quantity of oil of turpentine is introduced into the boiler, the steam will become negatively and the boiler positively electrified. 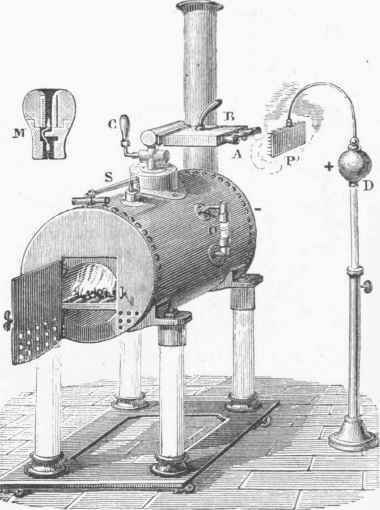 The generation of electricity by this machine was at first attributed to condensation of steam, but Faraday showed that it was caused by the friction of minute globules of water passing through the jets. Experiments are made with the ordinary glass-plate machine, represented in fig. 6, in the following manner: Let the rubbers be connected with the earth, the surface of the machine, especially the insulating supports, having been well rubbed with a warm dry cloth. If now the glass plate is turned briskly by the winch, on presenting a knuckle to the prime conductor induction takes place, the knuckle becoming charged with negative electricity. As soon as the tension is sufficient to overcome the resistance of the air, the fluids combine with a sharp report and a spark, a stinging sensation being felt in the knuckle. The spark will be seen to better advantage if the room is darkened. By employing a hollow metal globe five or six inches in diameter, held by a glass handle, longer sparks may be obtained, as a greater quantity of negative electricity will be retained upon it before this discharge takes place. When the distance is short the spark is usually straight; when greater, it becomes curved, with branches or forks; and when considerable, say a foot, in large machines, it takes a zigzag course like that of lightning. When the air is dry and the machine working well, a hissing sound is heard, and in the dark luminous brushes are seen to issue from projecting parts of the conductor, and it will be found that the escape of positive electricity gives larger brushes than negative. Brilliant sparks will often leap across the plate between the cushions and the conductor, when the fluid is not otherwise taken away. By passing the spark through rarefied air and other gases various pleasing and curious effects are obtained. 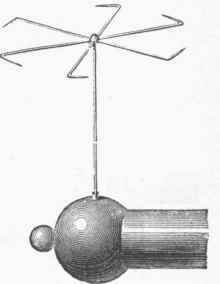 An apparatus called the electric egg, fig. 11, is often employed for this purpose. It consists of a glass globe with a cap at either end, through which passes a metal rod with a knob upon the interior extremity. The upper rod is made to slide so that the distance between the two knobs can be regulated at pleasure. Through the lower there is an opening provided with a stopcock, which may be screwed to a stand or to the plate of an air pump. When the egg is filled with air the spark has the ordinary appearance, but when partially exhausted it passes more readily, generally presenting the form given in the figure, the negative knob being usually surrounded by a violet halo, while the positive one exhibits a purple or a deep crimson. As the air becomes more rarefied the resistance to the discharge diminishes, and the brilliancy of the spark decreases, unless a nearly perfect vacuum is obtained, when no discharge will take place, as has been shown by Gassiot. These experiments are advantageously performed with the Holtz machine by connecting the two poles with the two knobs of the egg, or other apparatus. The color of the spark depends on the gaseous medium and on the material of the conductors. When the spark is strong a portion of the conductor appears to be volatilized, from the fact that examination with the spectroscope reveals bright lines denoting the presence of metallic vapor, which are characteristic. When the spark is weak the influence of the gaseous medium is readily observed, nitrogen producing a blue, hydrogen a red, and carbonic acid a green color. The old electricians devised many pieces of apparatus for making curious and pleasing experiments, such as tubes, globes, and plates of glass, having small disks of tin foil placed at regular distances, distributed in spiral and other forms, so that when a spark was passed through the system it would be multiplied and exhibit illuminated figures. A person standing upon an insulated stool, and connected with the prime conductor, will become electrically excited, and sparks may be taken from the face or hands, or through the clothing, the resistance offered by the latter often causing the discharge to be quite loud and attended with a smart sting. The hair of the insulated person, if not too long, will stand upon end, and if dry each hair will be separate. A set of radiating arms like the spokes of a wheel, having their points bent in one direction, balanced upon an upright pointed rod supported by the prime conductor, fig. 12, will revolve when the machine is in action; an effect caused by the repulsion between the electricity of the points and that of the adjacent air which has been charged by them. A point placed upon the conductor, as in fig. 13, will create a current of air which may be felt by the hand or made manifest by placing a candle before it. - A phenomenon usually accompanying the passage of a stream of electricity from a point, or of the spark, is the conversion of a portion of atmospheric oxygen into its allotropic condition, ozone, which is easily perceived by the sense of smell. 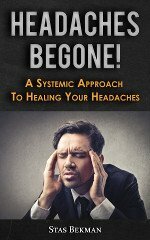 The conversion is supposed to be produced by a rearrangement of the atoms of the oxygen molecules in consequence of vibrations communicated by the electric force. - Duration of Spark. 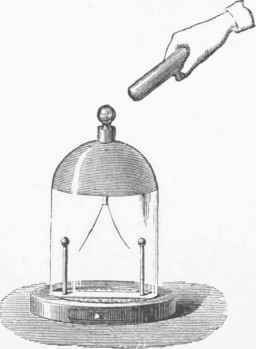 The duration of the electric spark was measured by Wheatstone in 1835 by means of a rotating mirror. Let m n, fig. 14, represent a section of a mirror revolving on an axis c. A spark at a will be seen from o in the position of a' when the surface of the mirror is in the plane e e' and in the position a" when the surface of the mirror is in the plane t t'. An instantaneous spark would appear as a point; that it has duration is proved by its having the appearance of a line. Wheatstone estimated this duration to be 1/24,000 of a second. Experiments afterward made by Feddersen, and published in 1858, showed that the spark when analyzed consisted of two parts, viz., a whitish streak and a red tail; and that, exclusive of the red tail, it was prolonged by increasing the charge, and also the area of the coating. A further and more careful analysis of the spark from a Leyden jar, connected with a Ruhmkorff coil, has recently been made by Prof. O. N. Rood of Columbia college, in which he found the duration varied with the substance of the electrodes, and also with the striking distance and the area of coating. By the use of nicely adjusted apparatus he succeeded in producing sparks from platinum electrodes at a distance of one millimetre, whose duration was ascertained to be a little more than 41 billionths of a second. Fig. 2. - Electrification by Induction. Fig. 3. 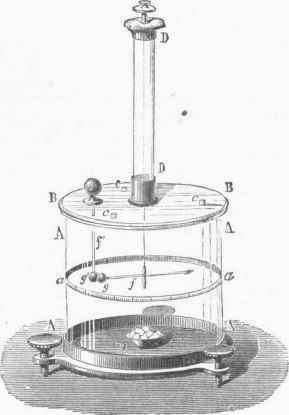 - Bennet's Gold-leaf Electroscope. Fig. 4 - Coulomb's Torsion Balance Electrometer. Fig. 5. - Proof Plane and Hollow Sphere. Fig. 6. - Ramsden's Plate Electrical Machine. Fig. 7. - Holtz's Electrical Machine. Fig. 8. - Holtz's Machine with Horizontal Plates. Fig. 10. - Sir William Armstrong's Hydro-electric Machine. FIG. 11. - Spark in Rarefled Air. Fig. 12. - Revolving Points. FIG. 18. - Current shown by means of a Flame. Fig. 14. - Duration of Spark. Fig. 16. - Leyden Jar. An account of the experiments may be found in the "American Journal of Science" for September, 1869, September, 1871, and September, 1872. - Condensers. The condensation of electricity is usually effected by separating two conductors by a plate of glass or other non-conductor, and connecting one of them with the earth in the manner shown in fig. 15. A plate of glass or other non-conductor employed in this manner is called a dielectric. On bringing the insulated conductor in connection with an electrified body, as the prime conductor it becomes charged with one kind of electricity, while the conductor on the other side of the plate becomes charged with the opposite kind, drawn from the earth and held by the powerful attraction exerted through the non-conductor, or dielectric. Charges of enormous intensity may be obtained by these means. The Leyden jar, fig. 16, said to have been invented by Cuneus, a pupil of Musschenbroek of Leyden, in 1746, is constructed upon this principle. It consists of a glass jar coated with tin foil upon both inner and outer sides to the same height, space enough being left to avoid union of the opposite fluids across the edge. To the mouth is fitted a cover of baked wood, through which passes a rod carrying a chain which lies upon the inner coating, and having a knob upon its upper end by means of which connection between the outer and inner coatings may be readily made by a jointed discharger provided with a glass handle. 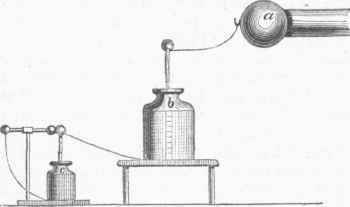 The Leyden jar is advantageously used in making experiments requiring great intensity of charge. Its condensing capacity depends, within certain limits, upon the thickness of the glass, it being in the inverse proportion of the distance between the two coatings, and upon the extent of their surface. Its power may therefore be increased by placing a number of jars together on a sheet of tin foil or other good conductor, and connecting all the inner coatings by rods or chains passing from knob to knob. 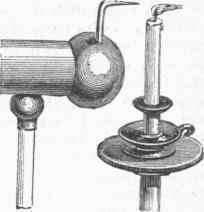 Such an apparatus is called a Leyden battery, and it may be charged, like a single jar, with the ordinary machine, by connecting one coating, it is not very material which, with the prime conductor, and the other with the earth or with the rubbers. In charging with the Holtz machine, one conductor is connected with the inner and the other with the outer coating. If a piece of card board is placed between two points, as in fig. 17, and one of them, say the lower, is connected with the outer coating of a charged Leyden jar, on bringing the knob of the jar near the knob connected with the upper point, the fluid will leap across the spaces between the knobs as well as between the points, but in passing from point to point it will pierce the card board. The hole will be found burred on both sides in consequence of the repulsion of the particles of paper, and its location is also nearer the negative than the positive point, unless placed in an exhausted receiver, when it will bo nearer the middle. By using a battery of several jars the fluid may be made to pierce a hole through a thin plate of glass. It may be remarked that if the experiment fails the first time, subsequent ones with the same piece of glass will scarcely succeed as the fluid will almost invariably follow the course it first took. Gunpowder, turpentine, and combustible gases may be fired by means of the Leyden jar or battery, and metallic wires may be fused if they are small enough to offer sufficient resistance to the passage of the fluid. After a Leyden jar is discharged, if a short time is allowed to elapse, and the coatings be again brought near together, a second or a third smaller spark may bo obtained. 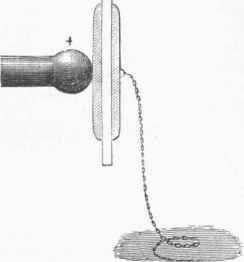 The electricity thus remaining after the first discharge is called the residual charge, and, according to Faraday's experiments, it is caused by the gradual penetration of the electric fluid into the substance of the glass dielectric, and accords with his opinion that conductors differ only in degree. The charge of a Leyden jar or battery may be estimated by means of an apparatus called a unit jar. Lane's unit jar or electrometer is represented in fig. 18. The jar or battery whose charge is to be measured is placed upon an insulated stand, and the inner coating connected with the prime conductor. If no connection were made between the external coating and the earth, it is evident that the jar could not be charged. The connection is made through a small Leyden jar, c, whose inner coating is connected with the outer coating of the first jar or battery, while its outer coating is connected with a rod carrying a knob, which is brought near to the knob connected with the inner coating. "When the small jar becomes sufficiently charged the fluid will leap across the space between the two knobs, which is called the striking distance, the amount being quite uniform for the same distance, and called the unit of measurement. By using the same instrument similarly adjusted a comparison of charges of different batteries, or of the same battery at different times, may be made. The physiological effects of the discharge of a Leyden jar are similar to those of lightning. A small jar of only a few inches surface is capable of giving a powerful shock when passed through the arms, and a large jar or a battery strongly charged is capable of giving a shock sufficient to produce death. - Fric-tional electricity is sometimes used in medicine, and it may often be employed with advantage, either by passing small repeated shocks by means of a small unit jar through the body or limbs, or the patient may be insulated and have sparks drawn from him; but the galvanic battery, employed alone or with electro-magnetic currents, may generally bo used with more certain results. The subject will be noticed in the article Medical Electricity. - Among the numerous works that have been published on electricity are the following: AEpinus, Tentamen Theorioe Electricitatis et Magnetismi (4to, St. Petersburg, 1759); Franklin, " Experiments and Observations on Electricity, made at Philadelphia in America" (London, 1769); Hauy, Exposition raisonnee de la theorie de l'electricite et du magnetisme (Paris, 1787); Tiberius Cavallo, "A Complete Treatise on Electricity " (3 vols. 8vo, London, 1795); Faraday, " Experimental Researches in Electricity" (London, 1849-'55); Sir W. Snow Harris, "Electricity, Magnetism, and Galvanism" (London, 1867); Deschanel, "Natural Philosophy" (New York, 1873); Ganot, "Physics" (New York, 1873); Fleeming Jenkin, "Electricity and Magnetism" (New York, 1873); J. Clerk Maxwell, "Electricity and Magnetism " (London, 1873). Fig. 17. - Puncture of Card. Fig. 18. - Lane's Unit Jar.